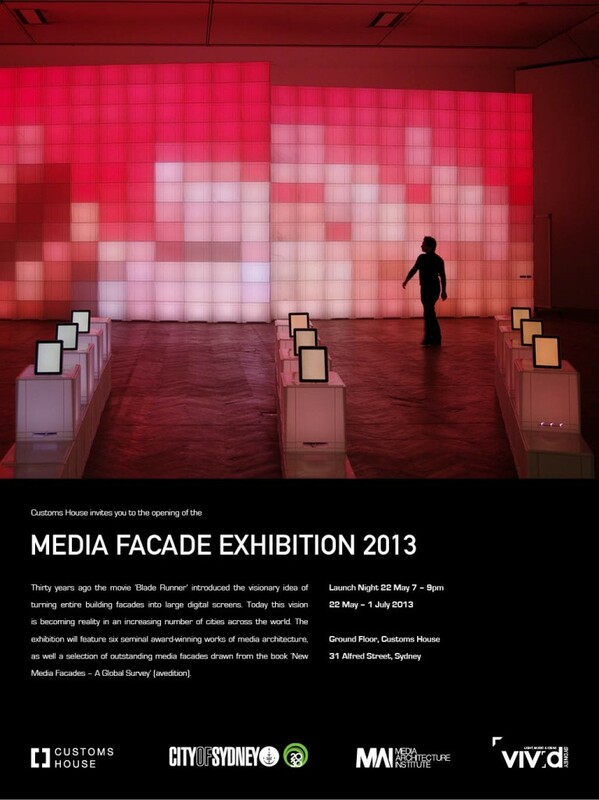 The Media Architecture Institute will be presenting the six winning projects from the inaugural Media Architecture Awards, as well as a selection of outstanding projects from the book New Media Facades, as part of the Media Facade Exhibition 2013 in Customs House, Sydney. The exhibition launches on Wednesday the 22nd of May in the atrium of Custom House, and will be exhibited until the 1st of July. The exhibition is organised in collaboration with ISEA and Vivid Sydney.